Effective risk and opportunity management is key to the successful delivery of any major engineering and　construction project. This book looks at how all those involved can manage risk and capitalise on the opportunities that uncertainty present. The authors of this book highlight that uncertainties should be managed rather than avoided. 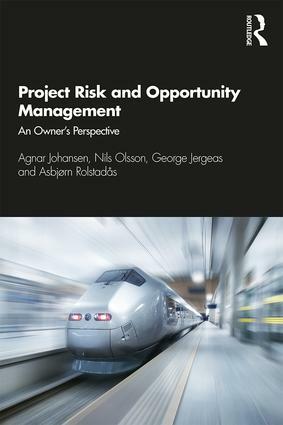 This book will look at simple projects with a small team, to megaprojects where some hundreds of people are involved, and the consequences of delays or unforeseen costs. However, while the obvious risks can be planned for, the authors argue that it is often the opportunities in these situations that can have unexploited potential. This book is about opportunity management seen from the owner’s perspective. It will be an invaluable resource for those studying Engineering both undergraduate and postgraduate and set out ways in which projects should be managed from planning to completion. This book is also a great tool for those working in project management and the construction industry. While there are many books that demonstrate effective construction management, this book is the first of its kind to emphasise that there is opportunity in uncertainty, and possibility in the unexpected.